Put some serious blasting power in your pocket with the Triad EX-3 blaster! 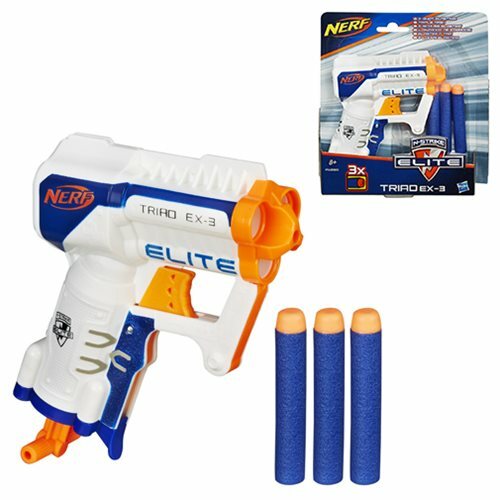 Don't let this 3-dart blaster's micro size fool you – it's small but mighty, with a range of up to 90 feet. Its smart technology tells it which barrel is loaded so you can fire it with confidence. And its small size lets you conceal the blaster in the palm of your hand or a pocket, then draw fast for the element of surprise! Pull down the cocking handle to ready your shot, then fire when it's time to take down your target! Ages 8 and up.